Shade Sails Sydney has had eight years experience in design, manufacture and installation of shade systems. We specialise in designing & constructing shade solutions of all sizes for Domestic, Commercial & Rural applications. We have completed projects for many diverse clients such as Councils, Schools, Pre Schools, Car Yards, Horse Studs and a miriad of different residential projects of all sizes. We manufacture the highest quality shade structures, completely within Australia. All our shade designs are engineer certified and surpass all Australian Safety Standards. 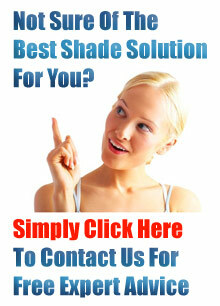 Shade Sails Sydney is committed to providing consistent, high quality products and services to all our clients. This consistency and quality are maximised by working in a systematic manner to formalized procedures and work instructions designed to eliminate the occurrence of variation and deficiencies. To ensure uniformity of work methods throughout the organisation, documented procedures and work instructions encompassing our manufacturing and installation activities have been implemented, and are maintained and used at all times by all staff. As part of our Quality Management System standard site specific work procedures are developed, approved and maintained. These procedures outline the processes required from our personnel on individual sites. These procedures cover all actions off site, from the scheduling of manufacturing inspections through to invoicing and report generation. On site they cover site entry, to exiting the site at the completion of the works. This ensures that all works carried out for the client are performed in a correct and orderly manner. The Quality Policy Statement shall be a major contribution to the achievement of these objectives and indicate the company’s commitment to Quality Management. The continuing relevance of the Quality Policy Statement to client requirements is ensured by Management review of feedback from clients.